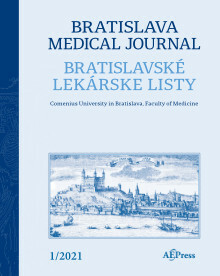 Abstract: OBJECTIVES: The clinical, biochemical and genetic findings in two Slovak patients with glutaric aciduria type I (GAI) are presented. BACKGROUND: GAI is a rare autosomal recessive neuro-metabolic disorder caused by deficiency of glutaryl-CoA dehydrogenase, which is involved in the catabolic pathways of lysine, hydroxylysine and tryptophan. This enzymatic defect gives rise to elevated levels of glutaric acid (GA), 3-hydroxyglutaric acid (3-OH-GA) and glutarylcarnitine (C5DC) in body fluids. METHODS: Biochemical and molecular-genetic tests were performed. Urinary organic acids were analysed by Gas Chromatography/Mass Spectrometry (GC/MS) and the entire coding region of the GCDH gene, including flanking parts, was sequenced. RESULTS: We found the presence of typical metabolic profile and novel causal pathogenic variants in both GAI patients. CONCLUSION: We present the first report of two Slovak patients with GAI, which differed in the clinical and biochemical phenotype significantly. They were diagnosed by two distinct approaches - selective and newborn screening. Their diagnosis was complexly confirmed by biochemical and later on molecular-genetic examinations. Though we agreed with a thesis that early diagnostics might positively influenced patientʼs health outcome, contradictory facts should be considered. Supposed extremely low prevalence of GAI patients in the general population and/or the existence of asymptomatic individuals with a questionable benefit of the applied therapeutic intervention for them lead to doubts whether the inclusion of disease into the newborn screening programme is justified well enough (Tab. 1, Fig. 3, Ref. 41).